The men and women of the 53rd Weather Reconnaissance Squadron have a hectic job. 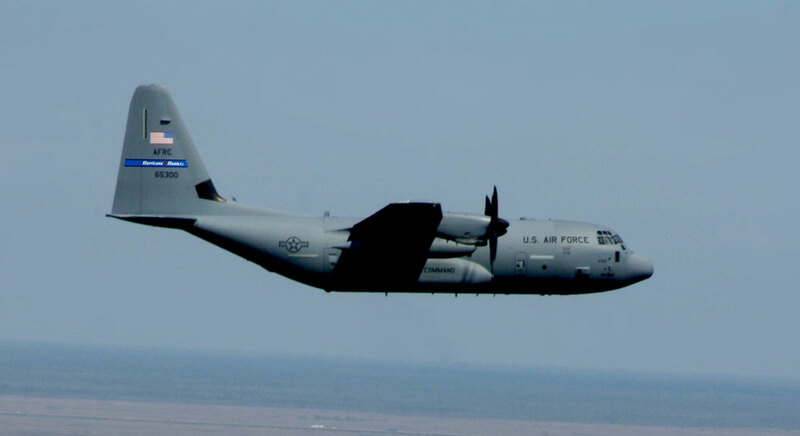 We caught up with the director of operation for the Hurricane Hunters, Lt. Col. Sean Pierce, via telephone yesterday and he told us about the dizzying op-tempo, the long hours and the dangerous flights through the massive weather systems that give the unit its name. He also stood up for the National Hurricane Center’s forecast of the recent Hurricane Irene, which devastated communities across the East Coast, that some have said were overblown. Pierce said that decision makers were given accurate and timely information to make the calls on evacuations and responses, and that the hype was a product of the media, not the Hurricane Center. One way or another, the story is going to get sensationalized in the mainstream media because that’s what they do,” Pierce said. “We had an aircraft over the storm 24 hours a day for that entire week leading up to when it made landfall in Long Island and confirmed the data exactly as it was presented by the National Hurricane Center. They are also gearing up to deploy for tracking the newly christened Tropical Storm Katia, which is bearing down on the U.S. Look for the full story in this week’s issue of Air Force Times.